Did you know that ankle fractures happen to be some of the most common injuries to happen of the bones and joints? 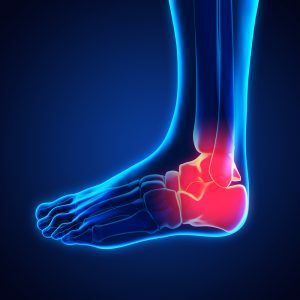 If you are interested in learning more about broken ankle treatment and surgery in Smokey Point, you are going to find that Mill Creek Foot and Ankle Clinic is one of the best in the area to meet all of your needs. If you are dealing with a great deal of pain or you are not able to walk all that well on your foot, it is going to be best that you are able to seek the help of a professional. This will be the right way to determine whether you are dealing with a dislocation, sprain or a much more serious injury. A broken ankle will be determined after having a full examination as well as X-rays and any other tests that may be necessary. Any amount of excessive stress to your ankle joint above and beyond its normal ability can cause a good deal of injury. There can be some instances where a fracture may occur simultaneously with tears within your ligaments. Some of the different movements that can cause such issues could include twisting of your ankle from side to side, over extending the joint, rolling your ankle either in or out or some sort of severe force that comes from jumping or falling. Call Mill Creek Foot and Ankle Clinic at (425)482-6663 for broken ankle treatment and surgery in Smokey Point to learn about complications and pain management. We will be happy to work with you to make sure that you are able to get nothing but the best treatment of whatever ankle pain or issue you are dealing with.